Snooker Loopy For The Whirlwind! Tomorrow sees the start of the World Snooker Championships at Sheffield’s Crucible Theatre, and Mark Selby’s defence of his title. With the likes of Neil Robertson, Judd Trump and Ronnie O’Sullivan taking part in the tournament, we will undoubtedly witness some top class play. Can it ever match that of snooker’s golden age though? Thirty years ago, the tournament’s final saw 18.5 million viewers tune in to watch Dennis Taylor beat defending champion Steve Davis in the “black ball final”. Jobs and school were pushed to the back of our minds, as the nation sat glued to their TV sets, awaiting the result of a match that eventually finished in the early hours of Monday 28th April, 1985. My favourite snooker player of the decade was, and still is, fellow left-hander, Jimmy “The Whirlwind” White. I first remember watching him play on TV when I was 9 years old. My Nan (who was also left-handed) loved to see him play, and we would spend hours together, watching his expert performances and celebrating his championing of “cack-handedness”! Alongside other 80’s snooker greats like Stephen Hendry, Joe Johnson, Willie Thorne and Cliff Thorburn, Jimmy was one of the competitors to play in the World Seniors Snooker Championship a couple of years ago. He was also one of the players I got to meet afterwards. 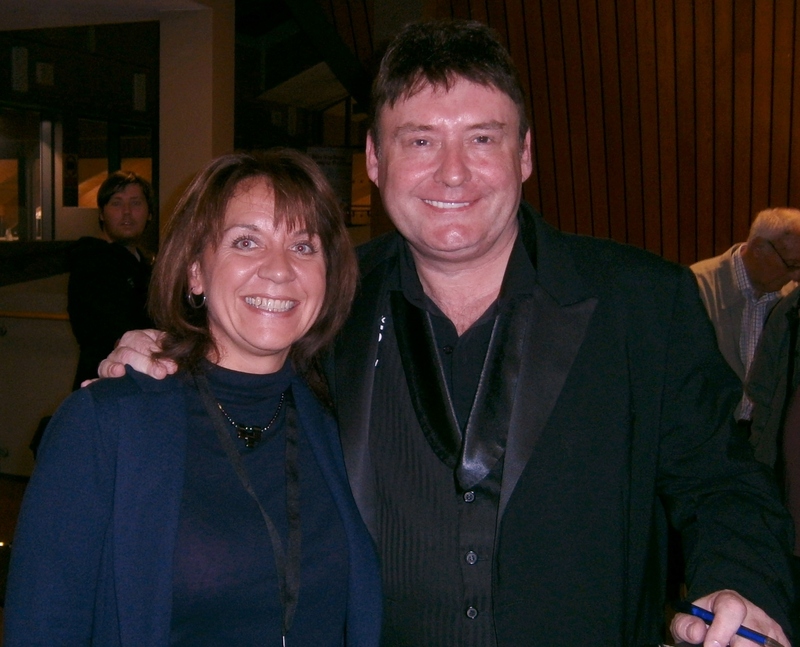 Now, I have met a few well-known faces, but I have never been as starstruck as when I met Jimmy White. After the above photo was taken, I took a photo of my son with The Whirlwind. As I struggled to keep the camera steady, I realised my hands were actually shaking, and I felt a little bit giddy! Unfortunately, Jimmy doesn’t appear in the Matchroom Mob’s video below. However, as the song has been my ear-worm for the last 24 hours, I thought I would share it with you (I’m good like that!). You will see too that Willie Thorne doesn’t look any different now than he did back then. Besides, you can’t beat a bit of Chas ‘n’ Dave! 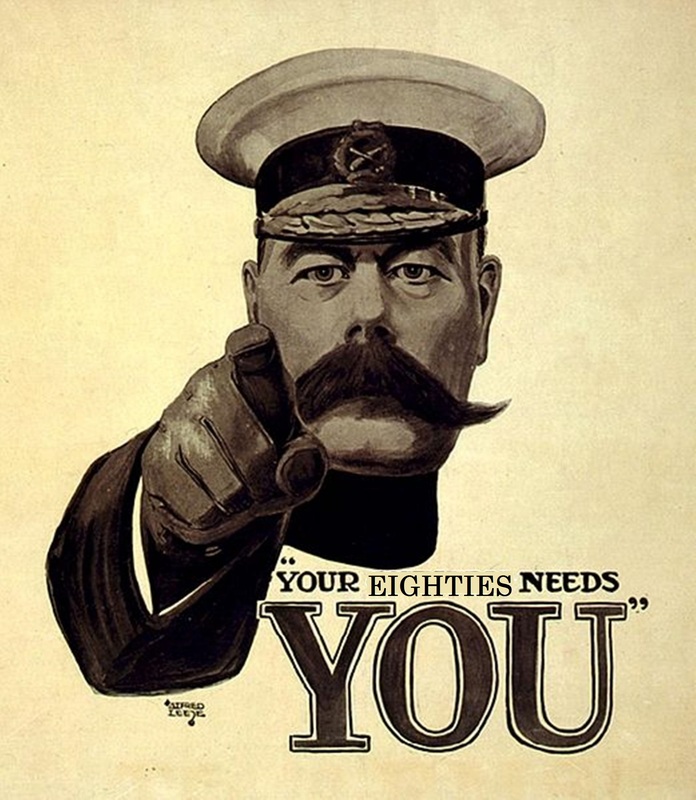 Regular readers of my blog will know that I am currently writing my next book, “Your Eighties”. 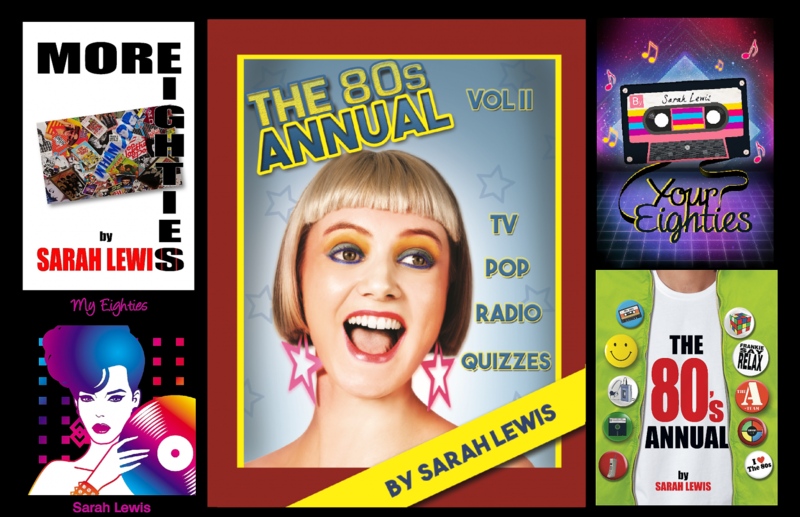 As the title suggests, the book centres around your recollections of the Eighties, and features interviews with some of your favourite musicians and personalities of the decade. The stories and memories sent to me have been both interesting and entertaining, mostly happy, sometimes sad, but always capturing the spirit and essence of the time. Yet, there is still room for more of your fantastic thoughts, and that’s where you come in. Whether it is your favourite TV programme or music, your first car or your first love, your biggest fashion faux pas or your biggest hairdo, if it happened in the 80s, I want to hear about it. It doesn’t matter if it’s a few words or a few pages, you can send them to me via my website. This PDF gives a few ideas to help dust away the cobwebs from your memory, and take you back to the Eighties. I look forward to hearing from you.